Since I was in Hilton Head, SC this week for a quick birthday vacation I thought I would throwback to my first ever trip to Hilton Head in summer 1983. 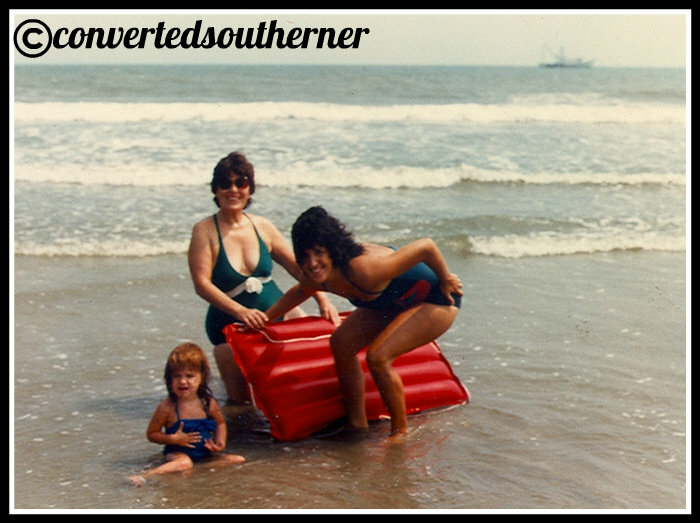 I was two and this is me on the beach with my Nana and Aunt Wen. Don’t you love the 80’s swimsuits? My first trip to Hilton Head, SC in 1983! This is a super old pic and I don’t remember the trip at all… I mean, I was TWO! My Mom loves to tell the story about how I kept running away from the family and kept running down the beach to see the sailboats. Trying to be little miss independent, even then!